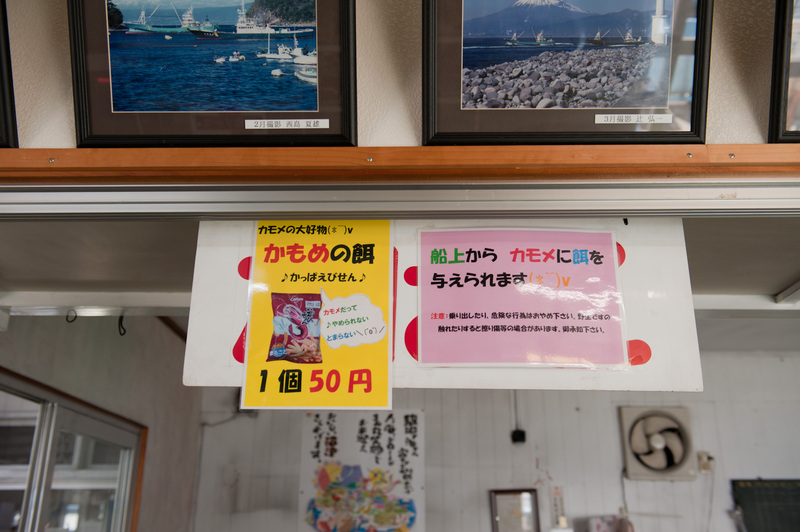 Numazu is a city rich in natural beauty. Do you know there is a way to enjoy this from the ocean? 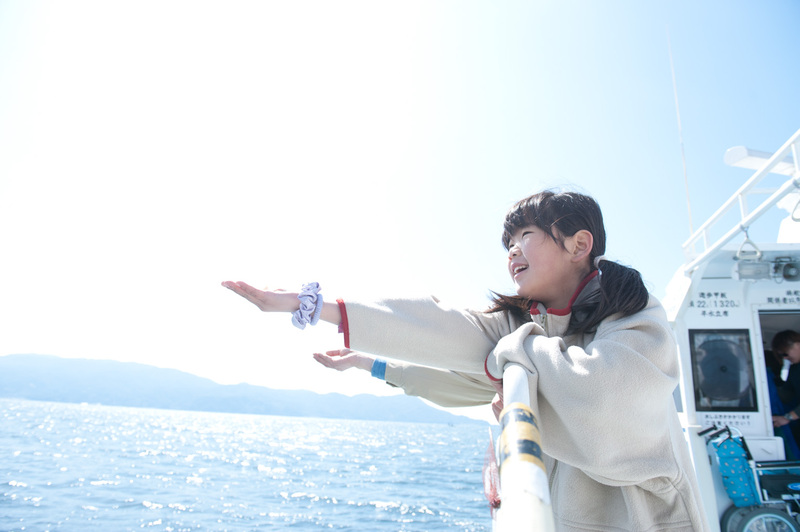 It’s the Suruga Bay cruise. 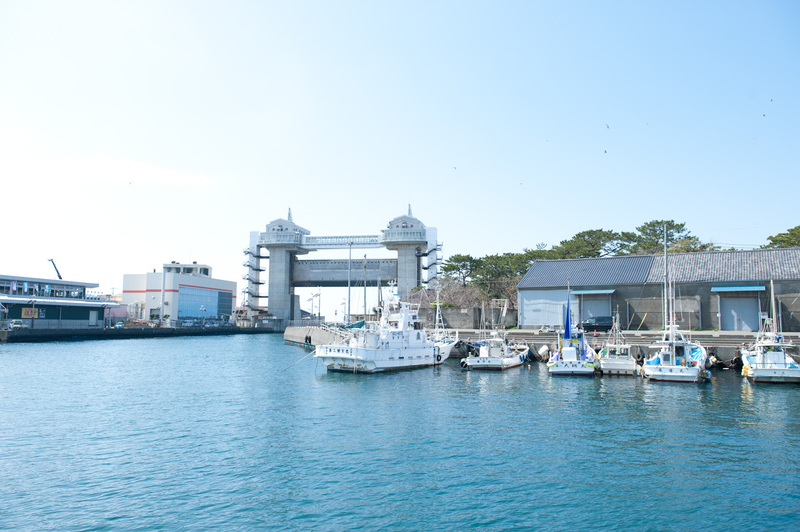 Today, we are taking Heda Overseas Transportation Company’s rapid boat White Marine II on a cruise. 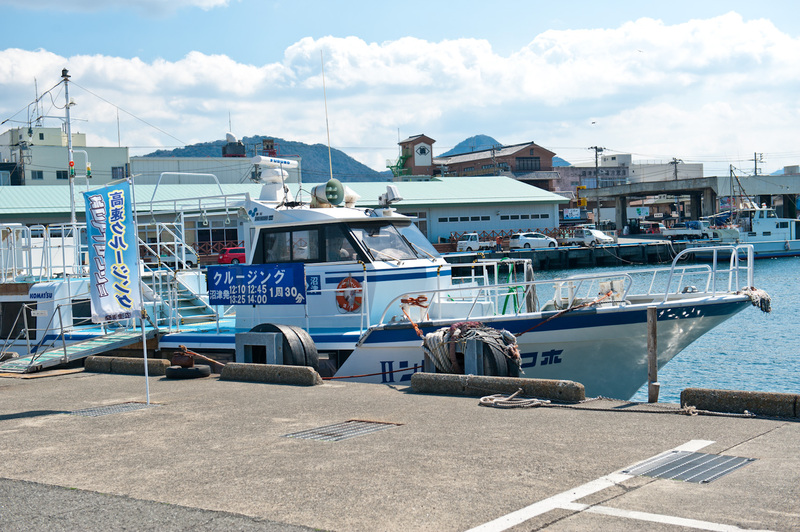 The White Marine II is a public transportation vessel that connects Numazu Port, Heda Port and Toi Port. 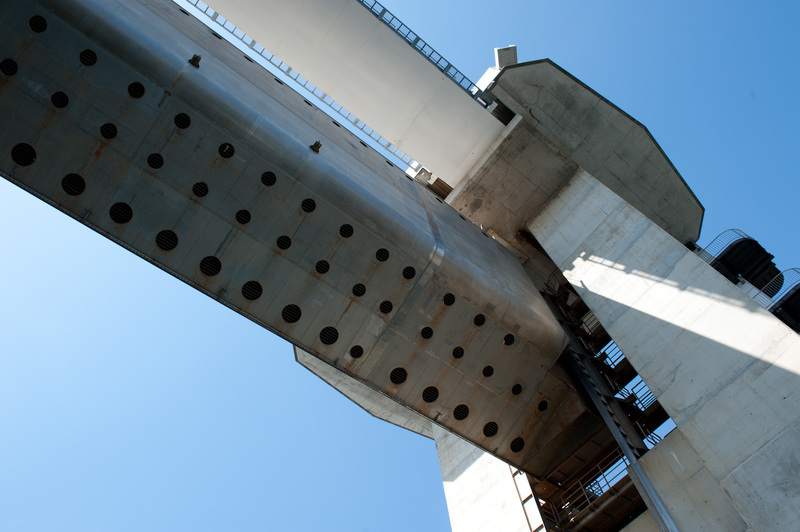 While the boat waits for its next scheduled time at each port, it operates as a cruise boat. First you need to buy a ticket. 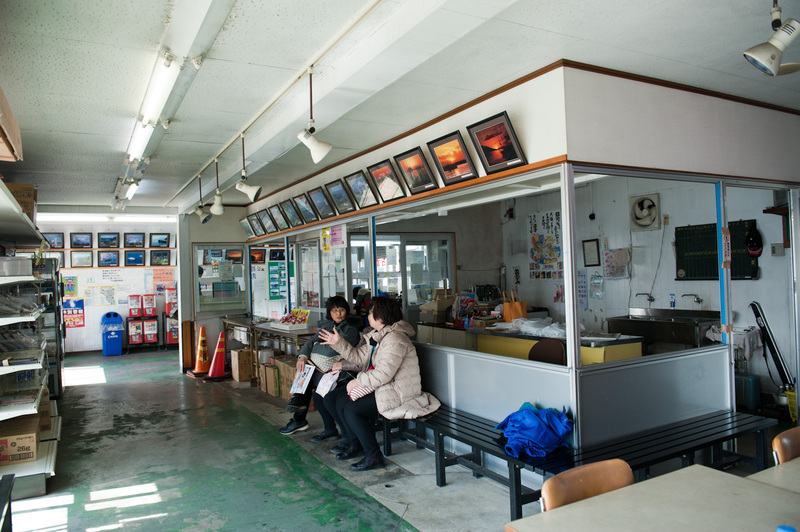 The ticket counter may look bleak, but there is the beauty and warmth of the port-side scenery. And in winter time, you shouldn’t forget to buy food for the seagulls too. Now it’s time to get on. Our young captains will welcome you. Today’s captains are Mr. Yamazaki and Mr. Tsuchimoto. 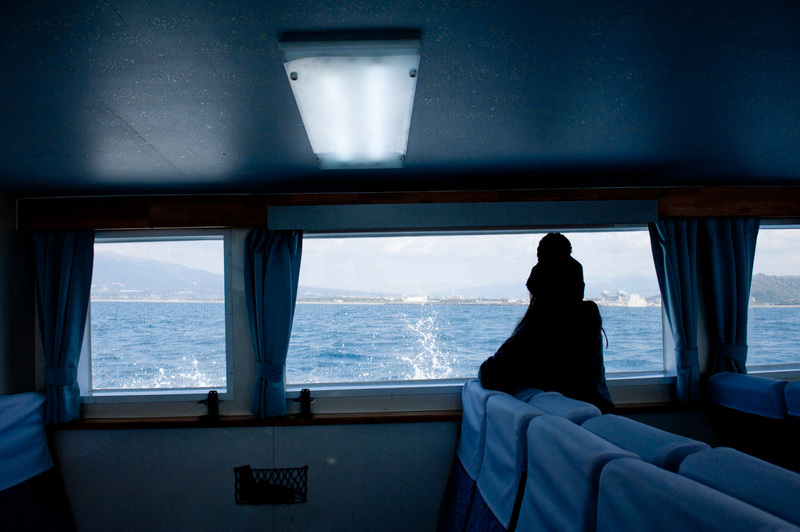 The White Marine II has warm indoor seating for 150 passengers with barrier-free seats available. There is also a deck you can step out on to and feel the fresh air. As soon as we leave the port, we get a different view from the ordinary at the big watergate View-O. The volunteer guide sees us off with a “see you later” pose. 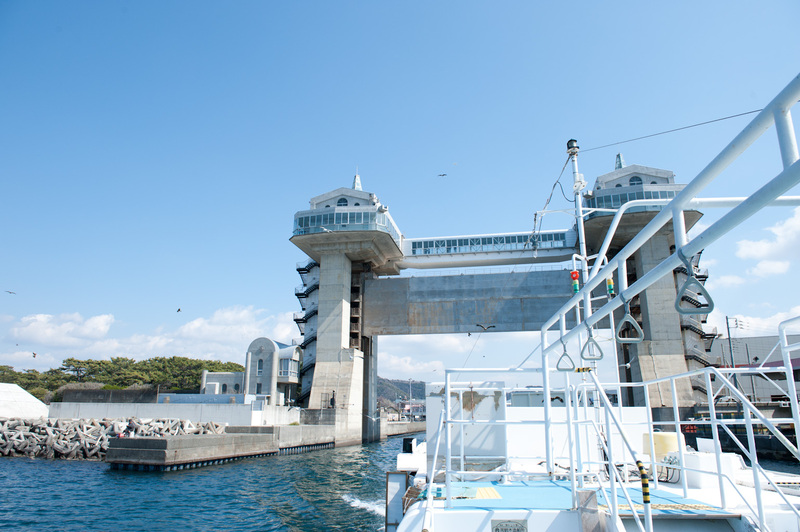 As we pass under the big water gate, we are off to have some fun. 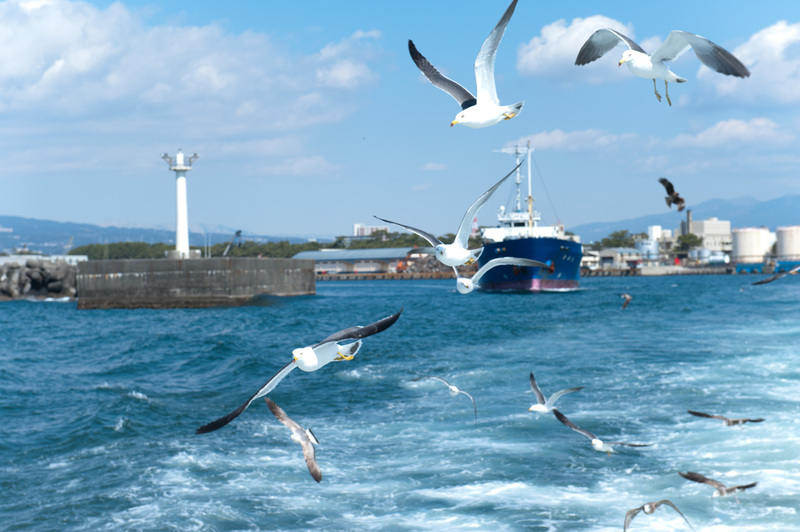 Soon seabirds, such as seagulls and black kites, come flying close to the boat. The boat travels slowly. Birds come to catch the food. 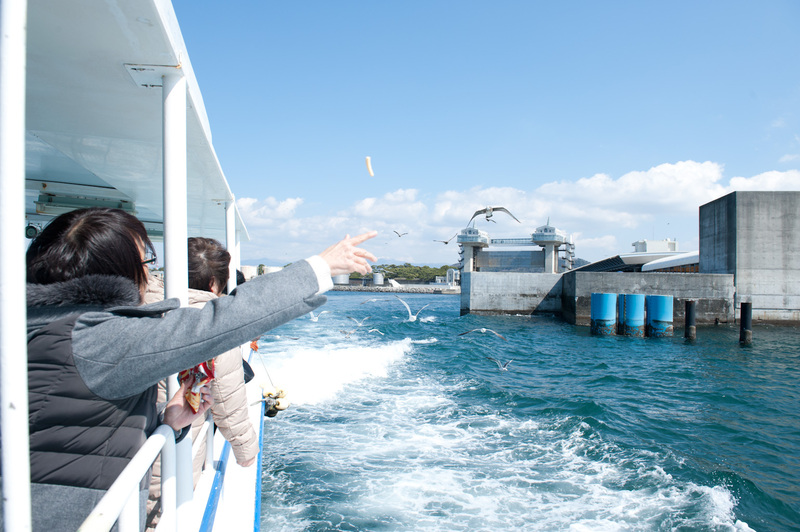 A passenger is even feeding birds from her hand. The passenger’s excitement fills the air. “We didn’t have this feeding service before. We started for fun. 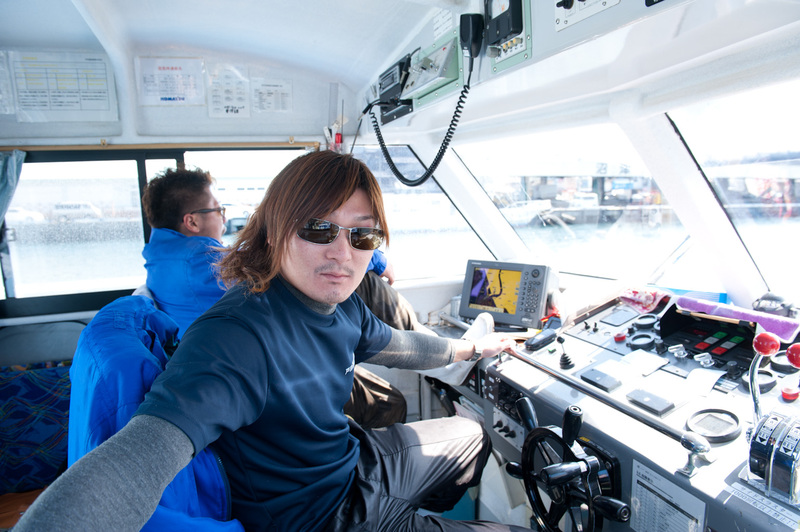 At first the bird didn’t even come close,” says Captain Tsuchimoto. 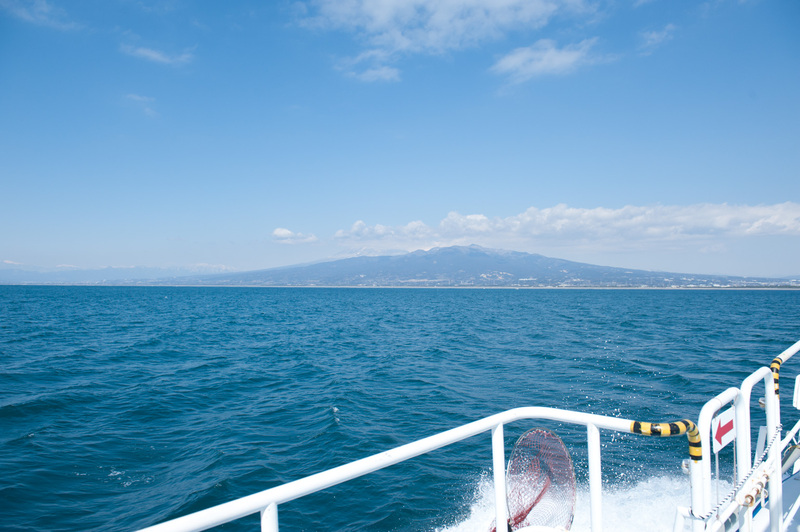 As we sail out into the ocean, we see the mountain ranges of Izu, the town of Numazu, and Mt. Fuji. Even farther out, you can even see the Southern Alps covered with snow. Surround yourself with mountain scenery; it’s all possible at Suruga Bay. As we finished the feeding time, the boat changed its speed. The lower passenger seats had a powerful view so close to the water. 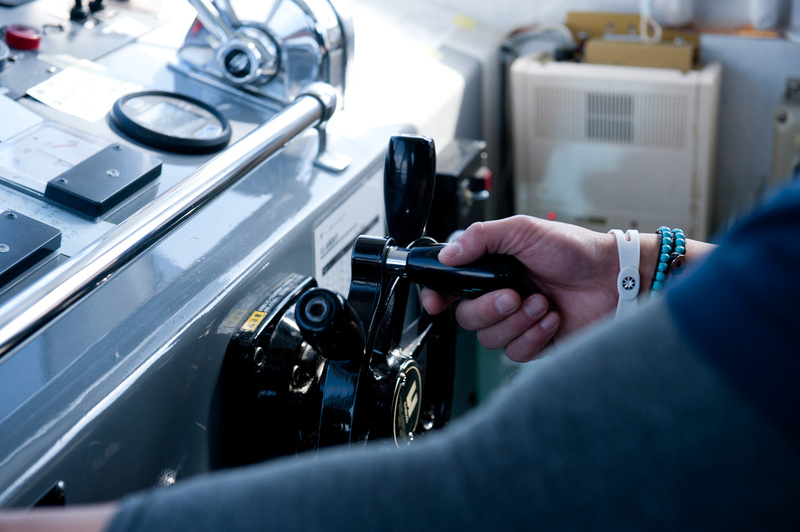 The boat shakes and splashes as its speeds up from 30 and 40 km per hour. 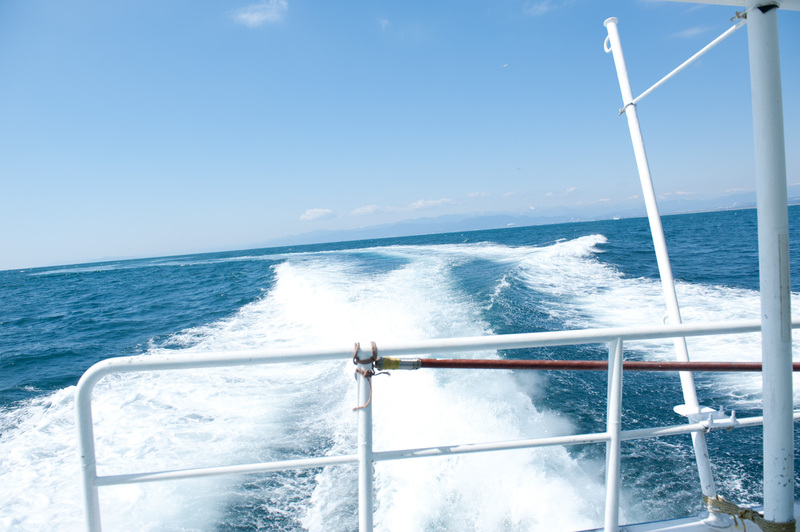 The White Marine II can reach a top speed of 60km per hour. The town and mountains look even more beautiful when seen from the ocean. White Marine II is also available as sunset cruiser, charter cruise, and as transportation to Heda. 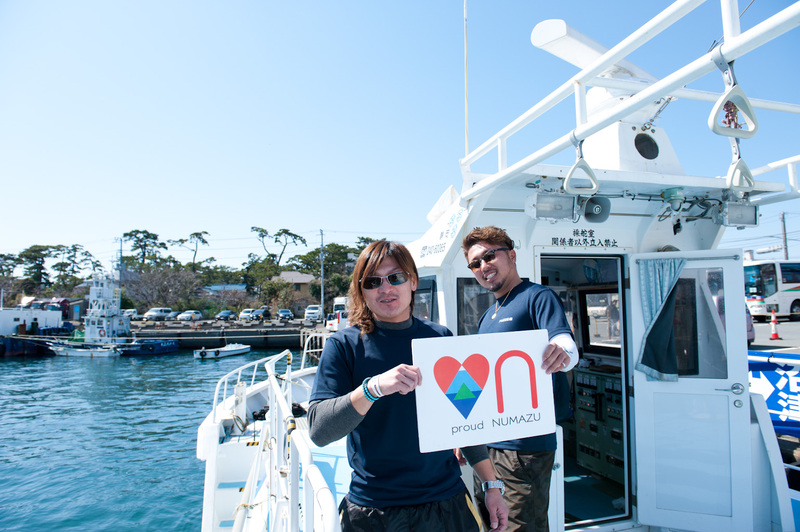 “For us what we see on the boat is an everyday thing, but it’s great to hear guests enjoy the water and bird feeding,” says Captain Yamazaki. After enjoying the rich tasting seafood at the port, come outside on the ocean to enjoy the beauty of nature from the water. 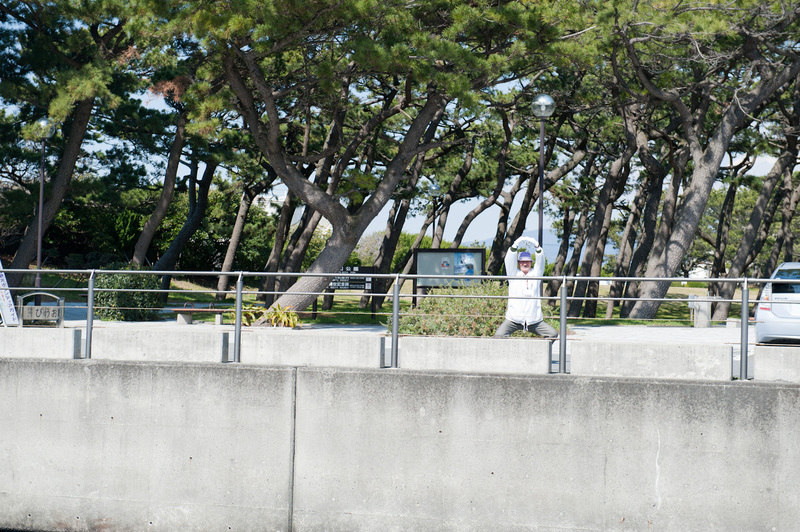 To the left is Captain Tsuchimoto, on the right is Captain Yamazaki. This entry was posted in EN, Travel on 2014年3月15日 by 佐伯.